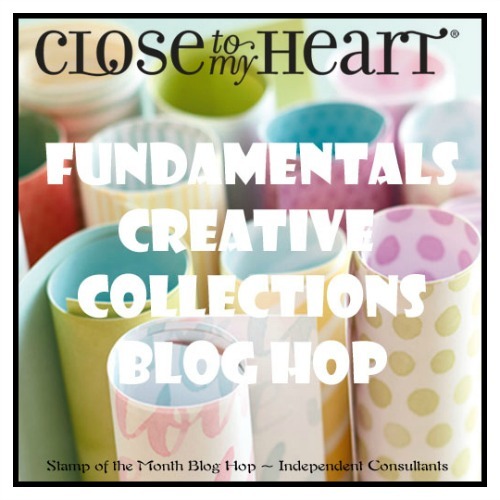 Close To My Heart's Fundamentals collections are the core of our paper collection. 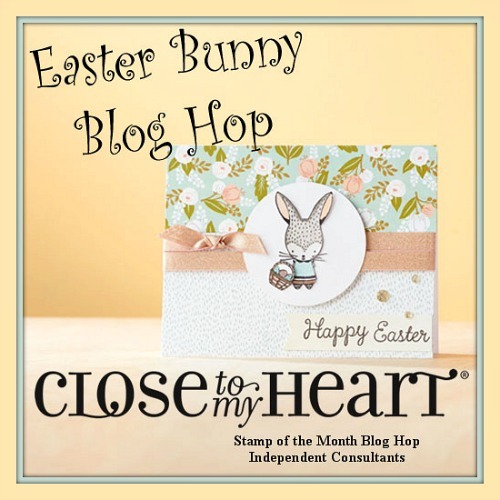 They are available all year long, and you're going to see lots of great ways to use them on this hop. 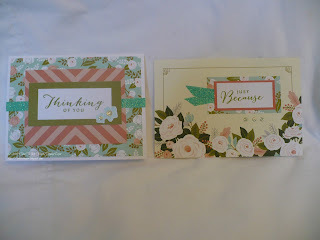 Ever since I got my Cricut Flower Market collection, I have wanted to play with some of the fun cuts! 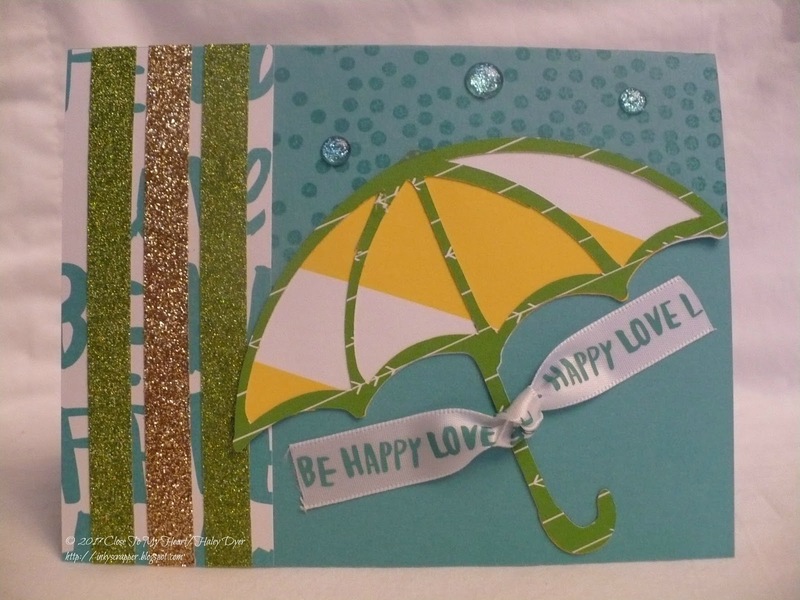 I was thinking spring (and inspired by the late Debbie Reynolds) to create this cheerful "Singing in the Rain" card. All of the patterned paper is from the Adventure Fundamentals collection (in Lagoon, Lemon, and Willow) on a Lagoon card stock base. 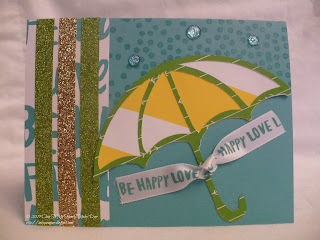 My "rain" was stamped with the Charming Cascades stamp set. I used a piece of Adventure Fundamentals ribbon, blue glitter gems, and gold and green shimmer trip for embellishments. Thanks for hopping by! You've got to give our Fundamentals a try if you haven't already. 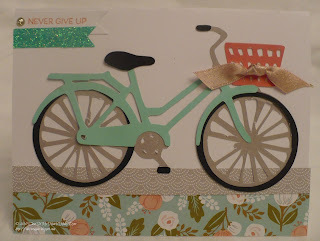 Now continue the hop and skip on over to see what Maureen has created! 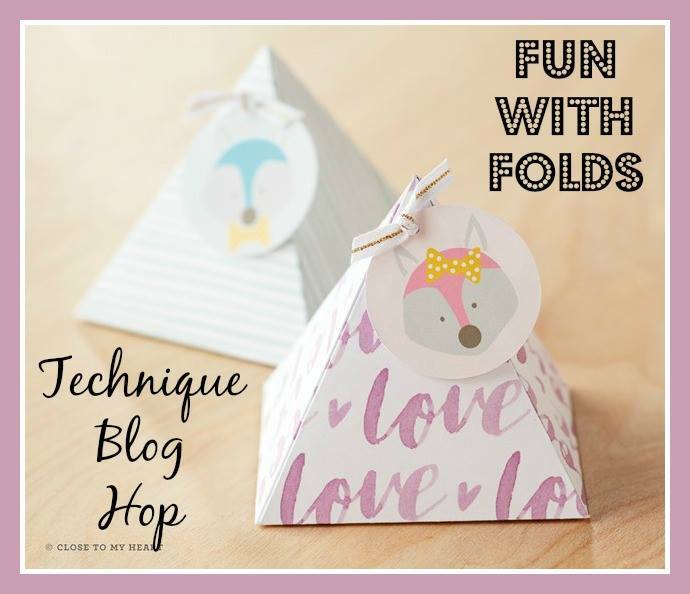 Rather than have my card itself make a cool fold, I added a fun folded element! 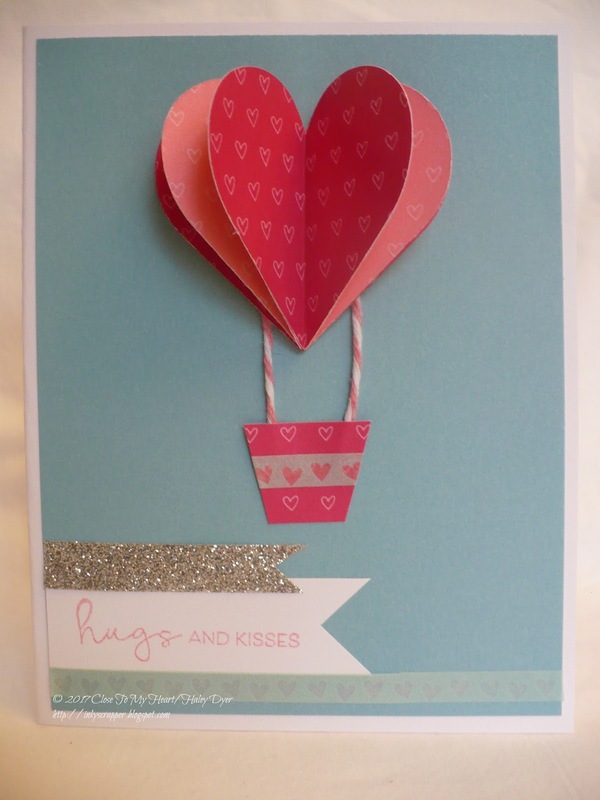 This hot air balloon would be cute just with a heart balloon, but I made it 3D with 5 identical hearts (cut with the CTMH/Cricut Flower Market cartridge). They were cut from the same sheet of Blossom/Raspberry paper from the Adventure Fundamentals paper pack. I folded each heart in half, alternating which side was showing. Then I glued them all together to create the hot air "balloon." Before I adhered the heart "balloon" to the card, I added the Blossom baker's twine from the Adventure ribbon collection. To make the balloon's basket, I just cut a 3/4" by 1" piece at an angle on each side. 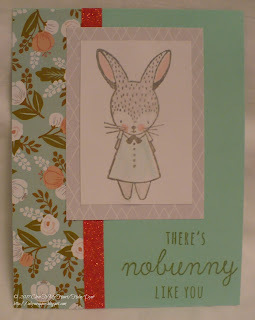 The adorable washi tape is from the Sugar Rush collection. 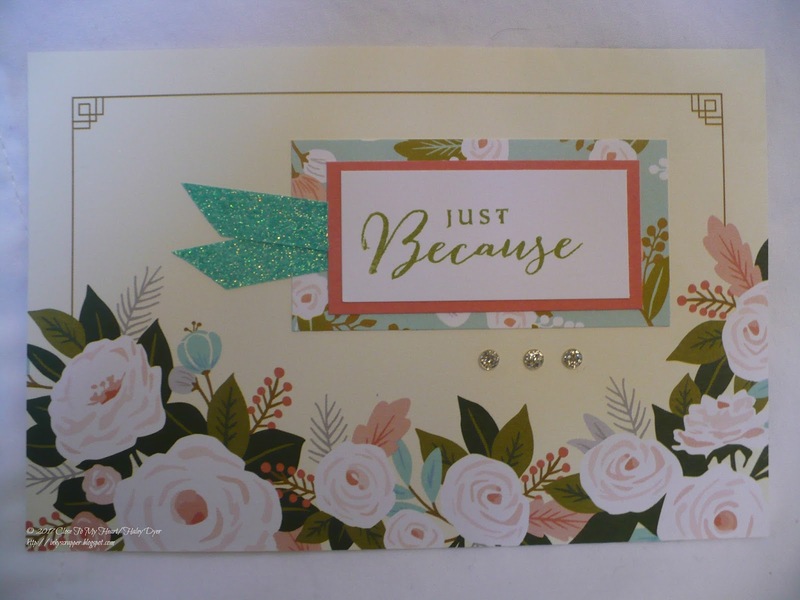 My sky background is a piece of Crystal Blue card stock, and the sentiment is from the CTMH/Cricut Flower Market collection stamp set. This card was an easy Valentine to make and mail to my daughter off at college. 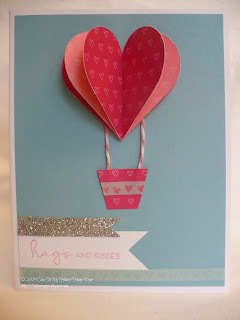 This idea is super cute as a balloon too! 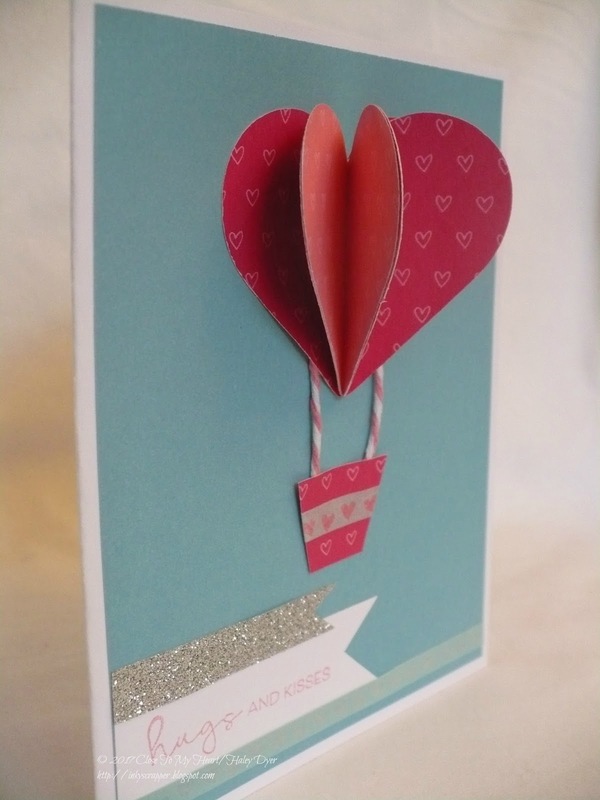 Of course you could use a circle or an actual hot air balloon shape to get the same 3D effect. Please let me know what you think before you head off to Belinda's blog! 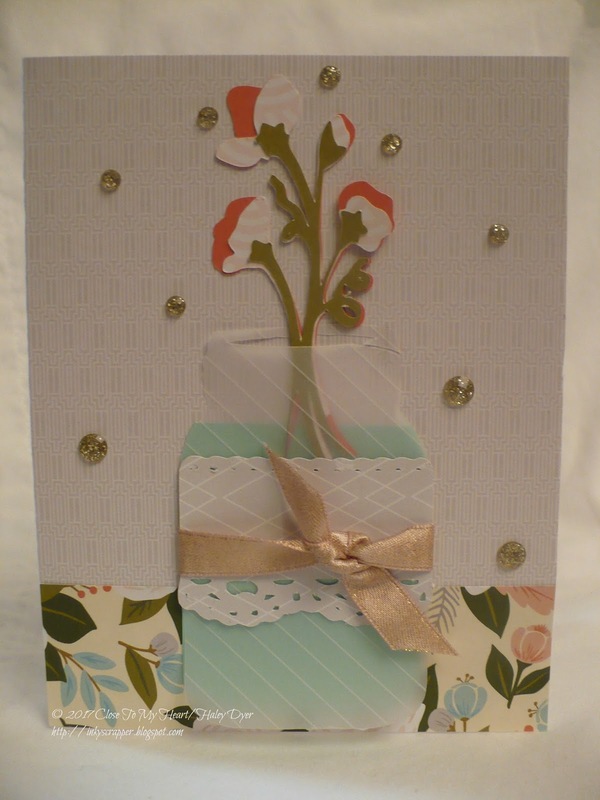 Here is the card that I made for a friend's birthday. 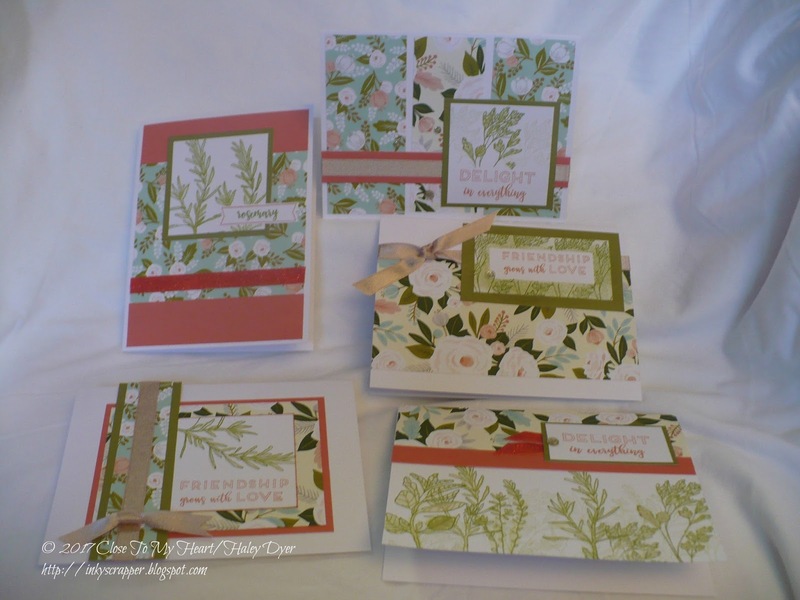 All the cuts were made with the CTMH/Cricut Flower Market cartridge (key Q). 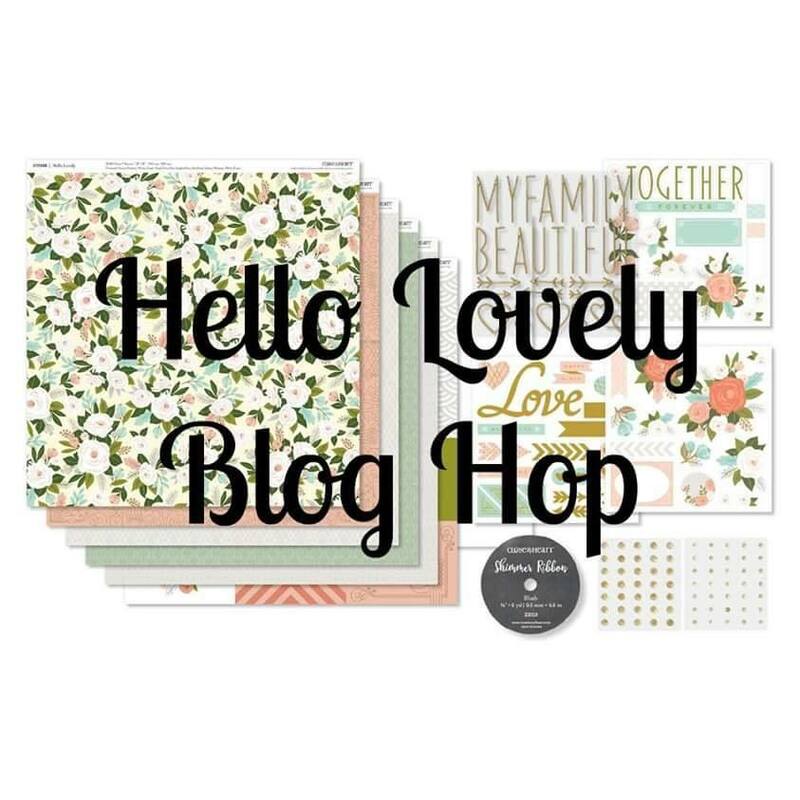 All of the embellishments are included in the Hello Lovely Workshop Your Way pack (paper, ribbon, and gems). 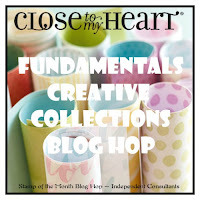 The vellum (jar) is from the Uptown Fundamentals paper collection. Here are a few other cards that I have made with the Hello Lovely collection. Thanks for hopping by! 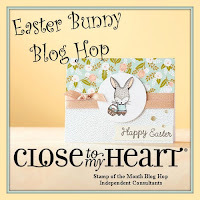 I'd love a comment before you hop to Brenda's blog next! 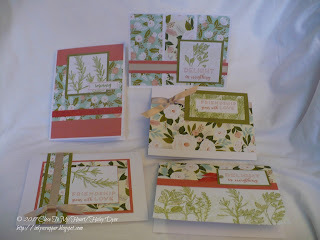 This week Heart 2 Heart Challenges wants to see your creations with the Hello Lovely collection. I decided to use some of the preprinted cards on actual cards instead of on a layout. 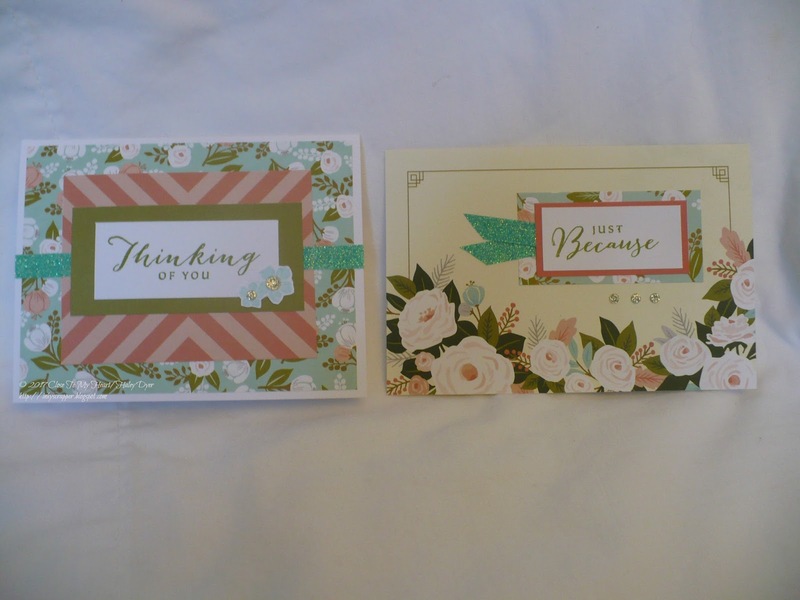 The card on the left uses a 3"x4" card with Sorbet chevrons. 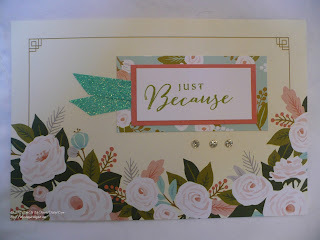 I used a piece of B&T on the card base, stamped my sentiment from the Happy to Be Friends stamp set (including the cut out flowers) and then embellished with Aqua shimmer trim and gold glitter dots. 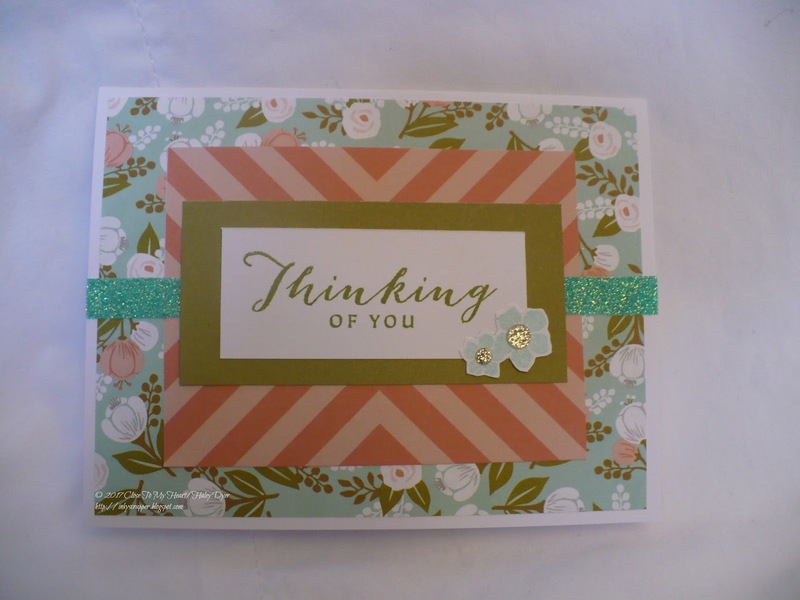 The second card starts with a preprinted 4"x6" card that I then added the matted stamped saying (also from Happy to Be Friends) and some more Aqua shimmer trim and gold glitter duos. 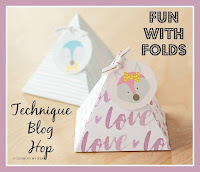 Because there are soooo many lovely things you can make with this paper suite, be sure to visit the H2H blog for tons of great ideas. I decided to create a sweet, simple card. 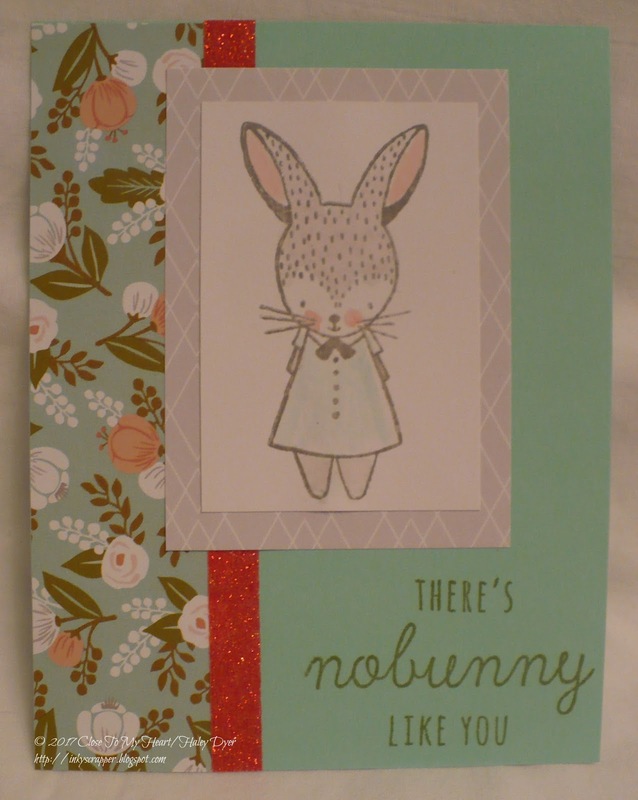 To begin, I stamped the mama bunny in Slate pigment ink and then heat embossed with clear embossing powder so that watercoloring would be easy. I colored her with a water brush and Whisper, Sea Glass, and Sorbet inks to match the Hello Lovely paper pack. I finished off the card with the sentiment stamp in Fern ink on the Sea Glass card stock and Coral shimmer trim. I tried adding different embellishments but never liked them so I kept it simple. 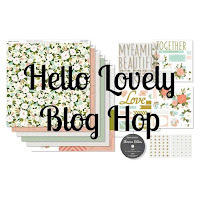 Be sure to visit everyone on our blog hop to get great ideas with this stamp set! Thanks for leaving me a comment before you head off to Carol's blog!